3 NEW RADIO STATIONS TO LISTEN TO IN THE KOOTENAYS! LISTEN FOR FREE OR DOWNLOAD OUR FREE APP! Our lives are a series of experiences. How we interpret those experiences is how we actually remember them. That’s why media is such a powerful tool: it interprets and communicates an event or a product for the viewer to remember it in a certain way. Whether you’re an up-and-coming rock group working on a new music video, or a small business with big dreams trying to sort out the mechanics of making a radio ad, communicating who you really are to the world is vital to your health and growth. Red Summit Media strives to help our clients by Creating Your Digital Footprint on the minds of your potential followers. Branding isn’t just captured in a slogan anymore-it’s communicating an experience, and we want to use our media skills to help you do that. We provide a series of skills tailored to the needs of each client, including logos, graphic design, photography, video, audio, voice-over, radio, station imaging and more! If it’s a service that you’re not sure we offer, but you think it falls under one of these categories, just ask us for a free quote and we can let you know right from the start how we can help. 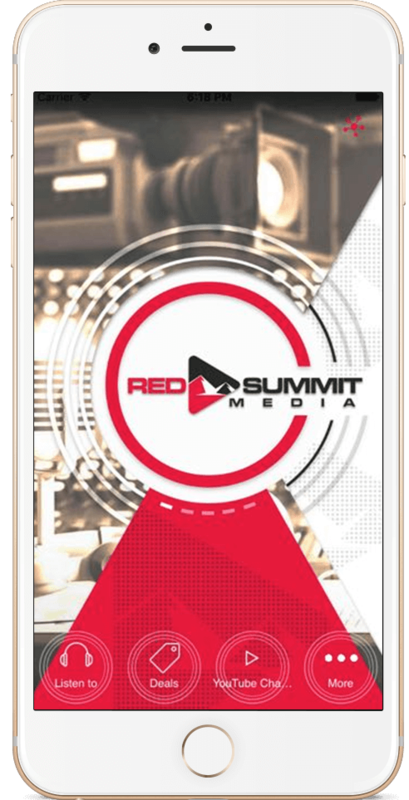 Can’t get enough of Red Summit Media? No problem! You can take us with you wherever you go with our app, available on iPhone and Android. Download it now for fun and exclusive content! Red Summit Media is based out of the West Kootenays, and we service small businesses, bands, outdoor enthusiasts, and families in the Kootenays, Okanagan, and surrounding areas of BC. Our office is nestled in the mountains, where all we need for inspiration is a peek out the front door and a sip of good coffee. Perhaps your media goal is personal, not commercial? That’s awesome! Best Friends Are Being Banned!? Please fill out the form below to request an appointment or send an inquiry.